Amy Weatherup (formerly Amy Mokady) is a serial entrepreneur who has held senior sales, marketing and business development roles in both start-ups and multinational companies, and now focuses on turning university research into practice. She was co-founder and marketing director of STNC Ltd., a venture-backed start-up which was one of the first companies to develop web browsers for mobile phones and was acquired by Microsoft in 1999. Following roles working at the forefront of the mobile industry at Microsoft, QUALCOMM and 3, more recent start-ups include Pogo Mobile Solutions (developer of the nVoy smartphone), Mo.Jo (online participation in new ventures, which led to the Open Venture Challenge with Cancer Research UK), Light Blue Optics (developer of the Kaptivo) and Audio Analytic (industry leader in sound analysis and recognition). Since 2005 Amy has been increasingly involved in the commercialisation of University inventions, and in helping the next generation of entrepreneurs develop the appropriate skills. She founded and runs the i-Teams programme at the University of Cambridge, where multi-disciplinary teams of post-graduates work to assess the best route to market for new university inventions. Formerly she held trusteeships at the Centre for Global Equality which works to link the academic community to international development practitioners, and at Birthlight which translates the latest anthropological and medical research into practical ways of helping mothers and babies. 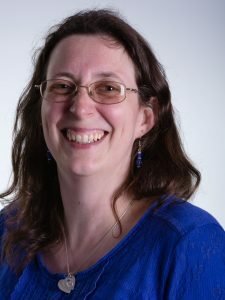 She has a passion for primary education, being a founding Trustee of the University of Cambridge Primary School, Chair of Governors at Swaffham Bulbeck Church of England Primary School and a National Leader of Governance. She holds a degree in Mathematics from Trinity College, Cambridge.